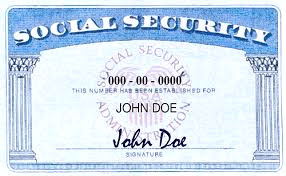 We frequently receive calls from clients requesting their spouse’s, children’s, and/or parents’ social security number. By law, we cannot give clients’ social security numbers over the phone. Even if we know who’s calling. And because these numbers are more valuable than gold to identity thieves, we all need to be extra vigilant about keeping them confidential. We can only provide this information if the request is submitted in writing, via e-mail or letter, or if you visit us in person and provide the proper identification. You can hardly look at the news these days without hearing about another scam or data breach that has potentially put your personal information at risk. As keepers of sensitive information for our clients, we take our legal responsibility toward protecting that information extremely seriously. Just as your health care providers need to adhere to strict legal guidelines with regard to releasing any information, we are legally bound to follow similar rules. Unfortunately, sometimes this can be frustrating for clients. We are fortunate to have friendly, often decades-long relationships with most of our clients. We may even recognize your voice when you call. The downside of this is that, even when we are 100% certain that it’s you on the other end of phone, we cannot release any information without properly documented authorization. When mortgage brokers contact us regarding your finances we are happy to provide them what they need on your behalf, but only if we have heard from you first! In order to disburse any personal financial information we require proper authorization, in writing. So while it’s easy to get caught up in the excitement of buying or refinancing a house, don’t forget to let us know in advance, via e-mail or letter, that you are in the process of applying for a loan. We can all agree that laws and policies are that in place to keep your information safe are necessary. But they can also cause delays in getting things done. You can rest assured that the last thing we want to do is cause you any inconvenience. On the contrary, the first thing we want to do is to protect your information, and not just because we are required to by law! Let us know if you have any questions about this subject, or if you have any life events coming up that will require us to release your financial information. We are here to help! Two Ways Your Taxes are Like a Vacation. Really! 1. They both require planning. You’ve probably never thought about it quite this way, but just like a vacation, maximizing the tax benefits you are entitled to requires some advance planning. 2. The best months to plan are May, June, and July. Although it may seem counter-intuitive at first, removing the pressures and deadlines of tax filing season translates to more focused, big picture planning. Meeting with clients about their taxes as we approach year end—or worse, during the height of filing season—is almost like trying to plan your vacation on your flight home. Traditionally, clients most often come in to meet with us during February and March, which limits our discussion to a prior year’s tax filing. And because the main focus is to complete your income tax return at that time, we are constrained to discussing only past events. Over the course of the last three years we have determined that the best window for effective client meetings is from late spring through early summer. This timeframe allows us to take a longer view of your financial future and provide more in-depth assistance that will be to your advantage. 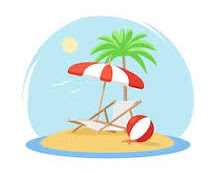 Whether you are interested in seeing us for current tax planning, budgeting assistance, or exit strategies for retirement, we are confident that—just like a good vacation—scheduling these meetings in warmer weather will take away some of the stress of tax planning and bring the most benefit to all of our clients. Keep an eye out for more information about scheduling financial strategy meetings with us in 2019. Unfortunately, we continue to hear frequently from clients who are concerned about threatening phone calls claiming to be from the IRS about delinquent taxes. Please know that the IRS will never initiate contact with you via email, nor call and threaten you with arrest. We cannot state strongly enough that you should never send personal financial data in response to an unsolicited email, nor give it over the phone to someone you can’t verify. We also want to make you aware of a new payroll theft scheme where employee login information is stolen through fake e-mails. Once cybercriminals have this, direct deposits can be diverted to fraudulent accounts. The link below is a public service announcement from the FBI detailing the specifics. Curious about whether your 2018 withholding will be sufficient under the new tax laws? The IRS has made available a new self-service online tool which can help you determine this. It is important to read the instructions carefully before you start, as you will need to have documentation handy to answer several of the questions (e.g.most recent tax return, pay stubs). The system will prompt you for missing information, but you will need to know things like your projected income for 2018, and number of children who qualify for the child tax credit (they must be under age 17 as of 12/31/18), so make sure to gather everything you need before you start the questionnaire. Also, please note that If your health care is through the Health Connector, this amount will not factor in to the ACA premium tax credits.